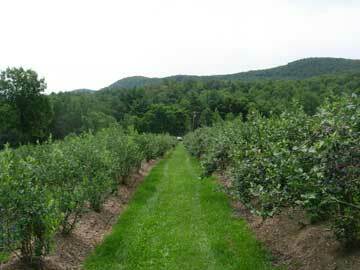 We are now Certified Organic. 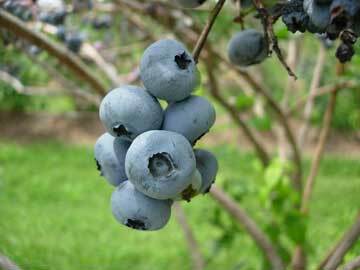 Ingalls Blueberry Hill in Cooperstown, New York has been growing fresh plump delicious blueberries for three generations. 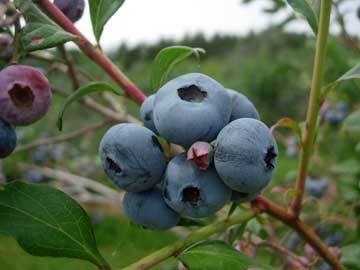 We do not use pesticides and we spend the whole year nurturing our blueberry bushes so that you may pick the freshest, most delicious blueberries around. 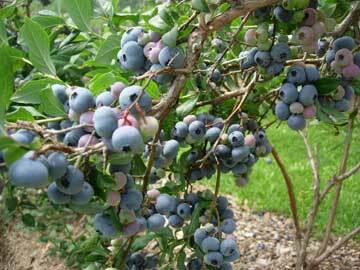 All of our bushes may be picked at arm level: There's no stooping and no sore backs. 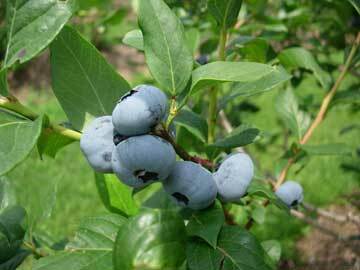 Come enjoy the view and help yourself to one of summer's more pleasant pastimes: picking fresh blueberries in the open air. 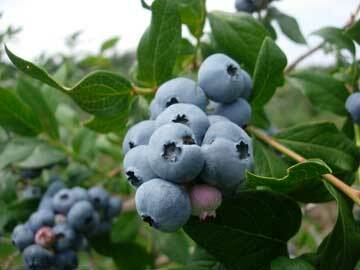 Enjoy too the bountiful area wildlife including numerous birds and an occasional red tailed hawk or eagle. RIGHT NOW, through the last week of August. 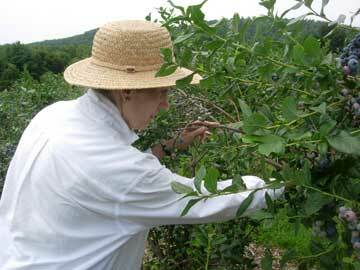 Picking is exceptionally good this year. 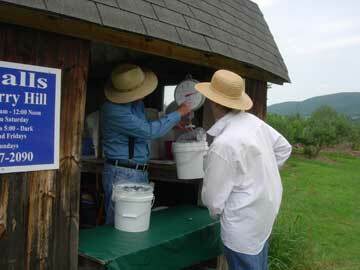 Our price is a reasonable $2.75 per pound. 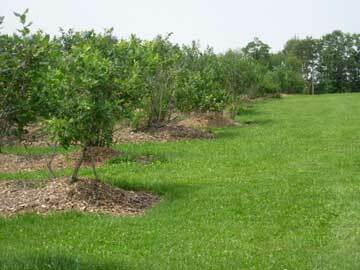 Every year, we place 120 tons of fresh mulch spread annually at the base of our blueberry bushes. 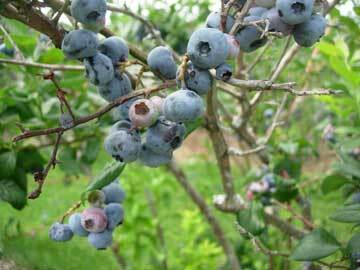 This helps prevent weeds and retains moisture for our plants. 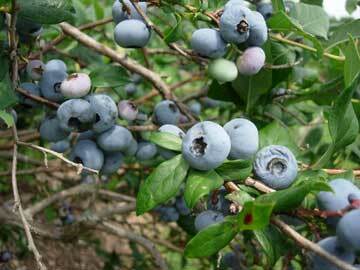 The berries grow at arm level, not low to the ground, and are easy to reach and pick. 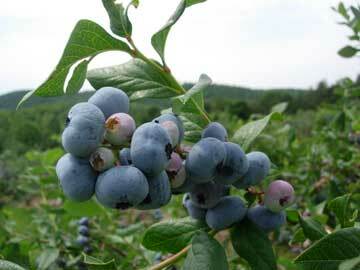 An example of our pesticide-free, Certified Organic, gorgeous plump blueberries. Before opening to the public, we spend eight weeks on our hands and knees tilling, weeding, cultivating, and making sure the plant is able to thrive for the growing season. 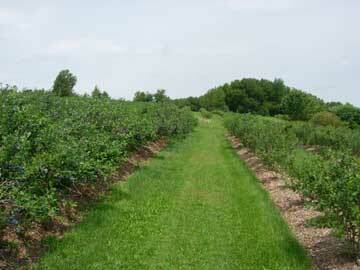 Ingalls Blueberry Hill has 20,000 running feet of blueberry plant rows, for a total of about 5,000 individual plants. 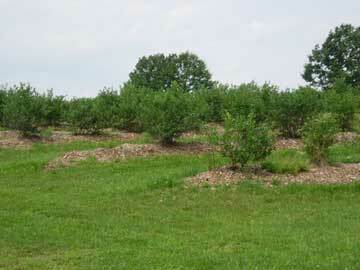 Our location was once a cow pasture on the family farm where a herd of guernsey cows grazed. 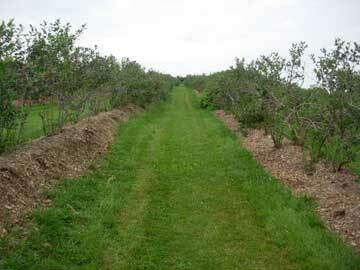 The gentle slope provides good air drainage which reduces the prevalence of mold on our berries. 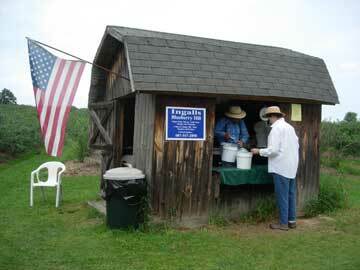 The blueberry shack, manned here by Rod Ingalls. 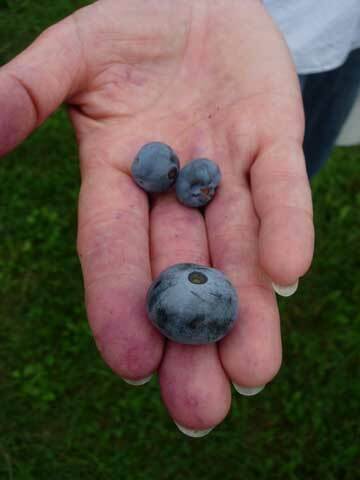 Son David Ingalls also runs the farm with help from his own children, for three generations of active family farming. 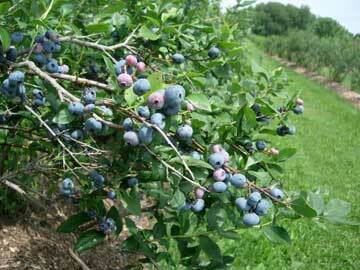 Here, the blueberries are weighed. 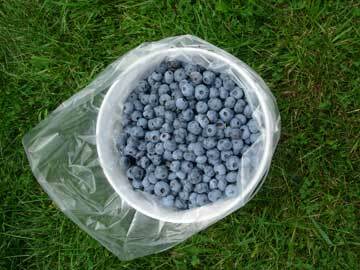 You will take them home in a convenient bag. 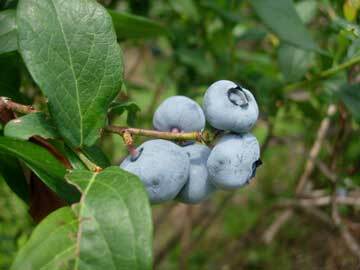 This particular berry is over an inch wide. 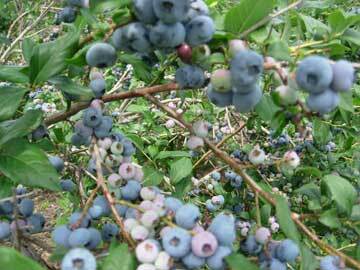 After about an hour's fresh air picking, a bucket-full of fresh, delicious blueberries.